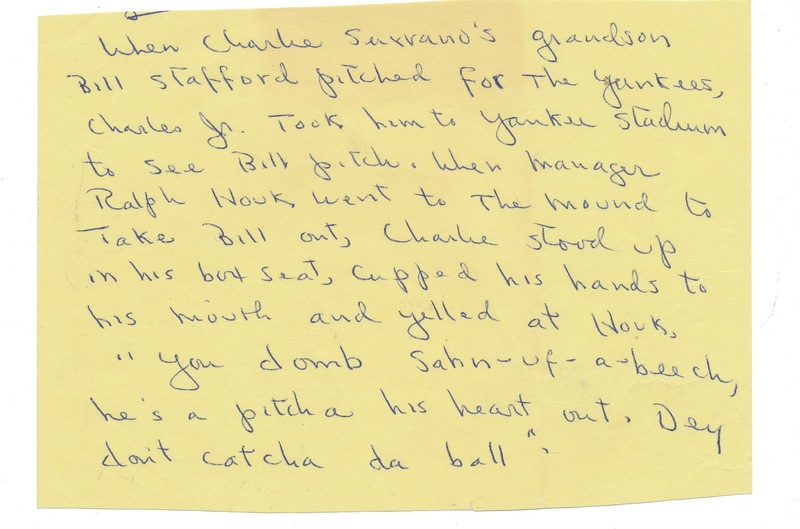 When Charlie Sarrano's grandson Bill Stafford pitched for the Yankees, Charles Jr. took him to Yankee Stadium to see Bill pitch. When manager Ralph Houk went to the mound to take Bill out, Charlie stood up in his box seat, cupped his hands to his mouth and yelled at Houk, "You domb sahn-of-a-beech, he's a pitch a hius heart out. Dey don't catcha da ball."